The Mystic Marriott is the perfect home base for you and your guests. 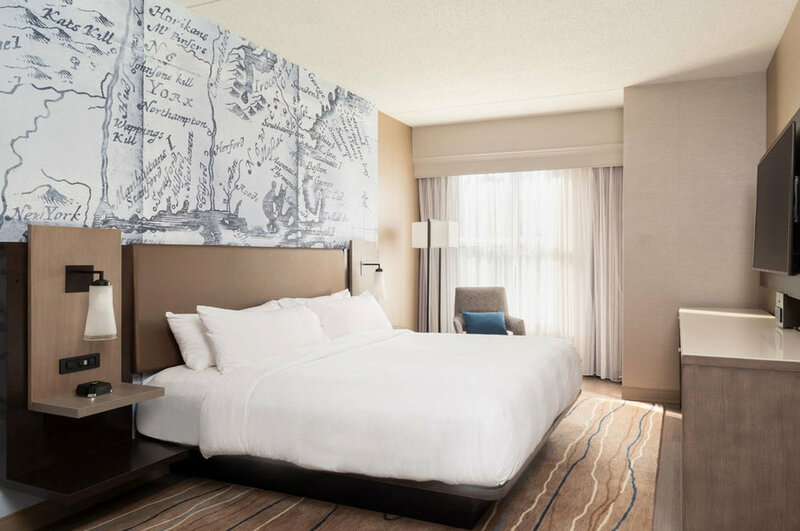 Offering newly renovated guest rooms and tons of amenities, including a full-service Starbucks, bar & lounge (open until 2am Fridays & Saturdays), an Elizabeth Arden Red Door Spa and indoor pool and fitness center. Every Wedding Room Block receives personalized attention, working closely with dedicated Sales & Events Manager Kelsey Gonzalez. She will assist you every step of the way and her added expertise in all things wedding will ensure your guests have a comfortable and memorable experience that will exceed their expectations for your wedding weekend. Looking to host your wedding reception or other wedding weekend celebration at the Mystic Marriott? In addition to room blocks, Kelsey is responsible for planning and executing all the details for your wedding weekend events hosted at the Marriott, including rehearsal dinners, private after-parties and farewell brunches.